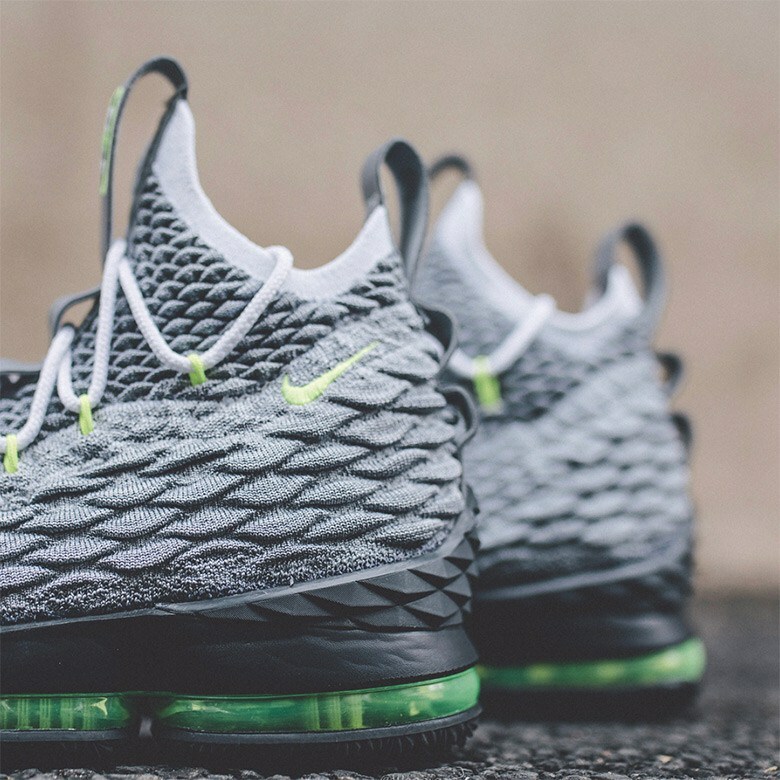 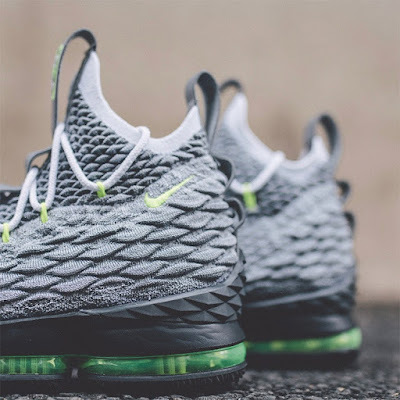 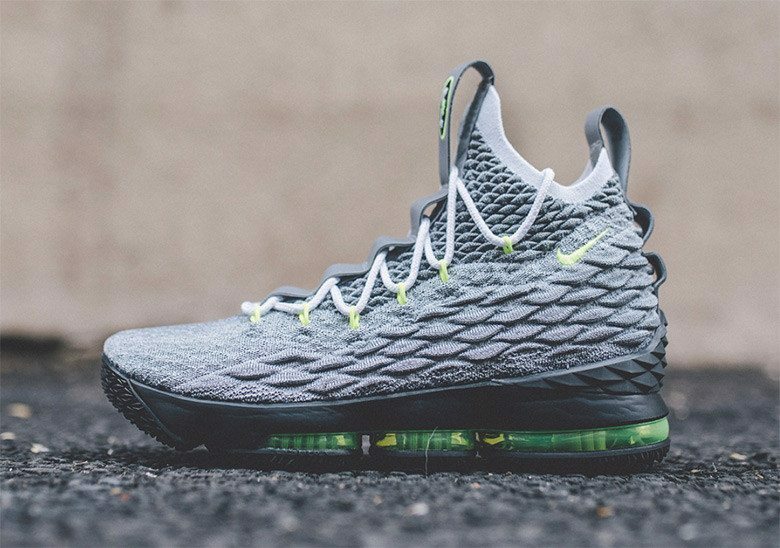 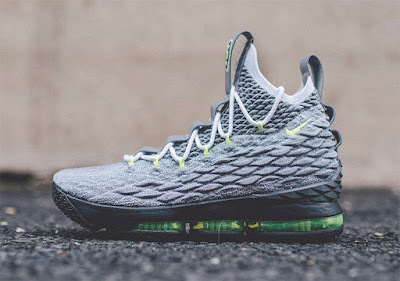 The Real Dwayne Allen.com: Nike LeBron 15 "Neon"
As #LeBronWatch 2018 continues to heat up, it appears that some of the best releases yet may still be forthcoming. After “Diamond Turf” and “Mowabb” editions (to name a few), James is ready to pay tribute to one of his favorite Air Max models potentially in time for the relevant brand holiday next week. Honoring the timeless Nike Air Max 95 “Neon” OG, James fashions his 15th signature model in medium grey Battleknit with supporting white and neon accents seen throughout the eyelets, tongue tag, laces and Visible Air. 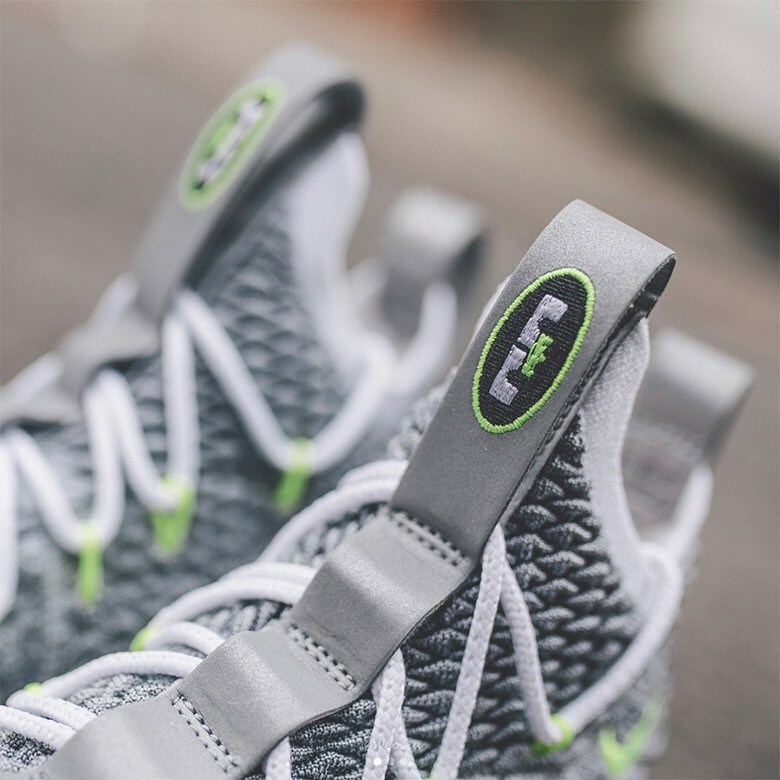 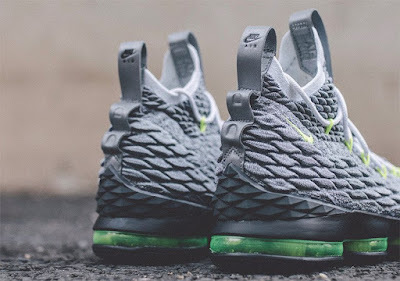 James’ crown and lion logo are both present at the tongue and outsole, ensuring that this ode to the Air Max 95 is still very much a Bron shoe.